Since the mini reviews were quite well received last month and I didn’t have the best of reading months in July, I just wanted to do a short round up of all the comic books I read. I hope you like reading those too! 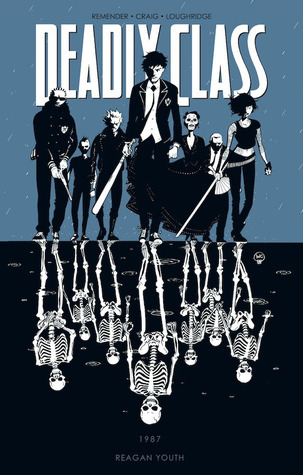 I wanted to check out Deadly Class so bad before the show starts airing (check out the trailer here) and I got very lucky when a friend of mine decided to unhaul some of his comic books and I got them really cheap. I’ve heard so many people raving about this one, I wasn’t really sure what to expect. I can definitely see the appeal in terms of the storytelling and dialogue, because it’s more than kids just beating each other up. It’s about depression, anxiety, moral ambiguity, tough circumstances and even tougher choices and all of it in a high stakes setting. Still, as I read on, I just found that the art style and the violence weren’t for me in this type of format. 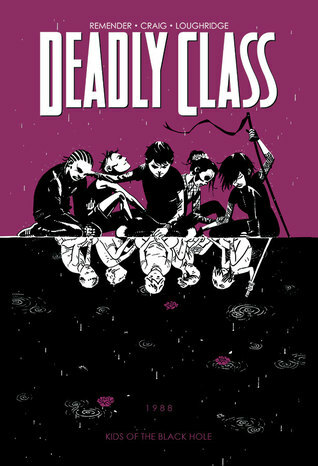 I think I can still see myself enjoying the show a lot, but as soon as I realised I was skipping panels because I really didn’t want to read or see what was happening, I gathered I probably won’t be continuing with the comics, even though I would like to know what will happen in the overall story. Fazit Vol. 1: 4/5 stars! It was a wild trip! Fazit Vol. 2: 3/5 stars! This kind of proved to me that I probably won’t be reading this on the long run. I gravitated towards this story because they want to adapt Faith for the big screen and I really wanted to check out what her character was all about. 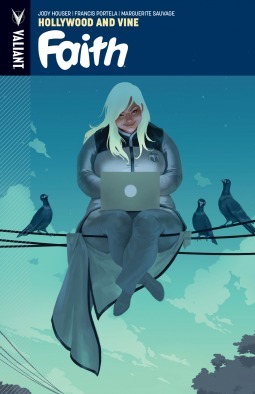 I can’t say that Valiant comics are what I usually strive for, so I kind of missed Faith’s origin story (which was in a previous series and not in this one) but I didn’t feel too disoriented. As a character, I really loved Faith! It’s not often that you get to see a plus-size female superhero and such a funny, geeky and badass one at that. (The pop culture references were on point!) She charms you even when the story is only meh and you want to know more about her regular life, romantic entanglements and alliances. On a side note, I am also very curious about the casting should they go forward with the movie! I can’t think of anyone from the top of my mind, which is sad if you think about it. Fazit: 4.5/5 stars! I can see myself really following this character for a while. I don’t know if any of you know this about me, but René Magritte is one of my all time favourite artists. It’s not even all his paintings or themes, but he was one of the first artists I really discovered for myself and quickly learned to distinguish in exhibitions (Seriously, I can spot a Magritte a mile away). I don’t remember why, but we learned a lot about him when I was around the age of 10 and his life story just sort of stuck with me. I won this book and to get a whole graphic novel that’s basically a homage to his life, art and shortcomings as well as accomplishments was really great. It’s a weird story for sure, but so was Magritte’s art. I liked that they kept the surrealist approach while making it their own and also educating people on parts of his life some might not have known about. It was really fun and with a certain unexpected ending. Fazit: 4/5 stars! 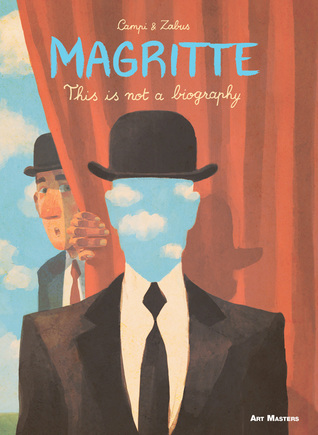 Such a nice short homage to Magritte! That’s it for today! Have you read any of these or do you have thoughts on them? Let’s chat in the comments below! Faith is cool 🙂 and I think you could like the Magritte graphic novel, although it’s a bit psychedelic haha but if you were into trying comics, I’d recommend you try Lumberjanes or Zodiac Starforce. Yeah, I don’t know what it is about comics, but violence there puts me off more than in other media. The show could still go either way for me, but I think they were trying to be faithful, while maybe toning down certain aspects.